Cargo scanning « What Happened to the Portcullis? Herewith a collection of articles on customs non-intrusive inspection around the world. True to form, the acquisition and use of such technology is not without controversy of some sort. July 2013 – The Spanish Government is to deploy a ‘Mobile X-Ray Scanner’ at the frontier to detect cross-frontier smuggling of tobacco. A Panorama Investigation reveals the mobile X-ray scan technology mentioned is one installed and operated in a mobile vehicle (van) – it is system that is potentially dangerous! These plans are said to be part of a strategy to crack-down on cigarette smuggling across the frontier, which they say is causing untoward damage to the Spanish economy. The regional special representative of ‘La Agencia Tributaria’ (Spanish Tax) Alberto García Valera, says he has found it necessary to spend money and invest heavily on new technologies to combat fraud and tax evasion in places like the Le Linea-Gibraltar Frontier. ‘La Agencia Tributaria’ purportedly placed an order with the American company American Science and Engineering (AS&E) for the delivery of this very sophisticated, hi-tech scan system known as the ZBV S-Class. 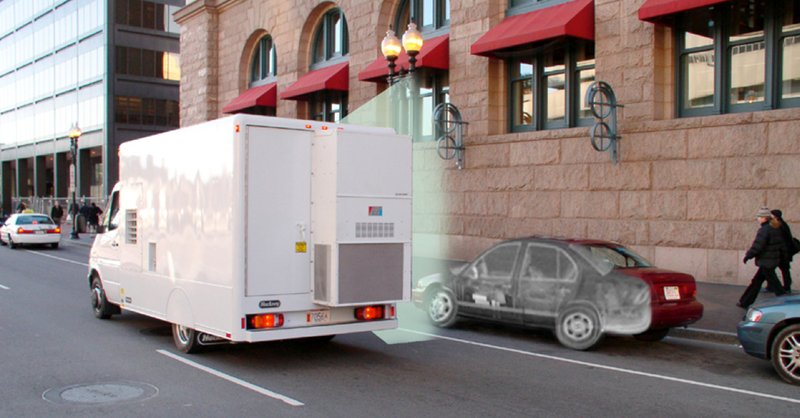 The ZBV or Z Backscatter Van, is a mobile X-ray vehicle screening system, it uses technology known as ‘Backscatter’ which provides a photo-like images of concealed objects, such as explosives, drugs, currency trade-fraud items and of course things like cigarettes, but the latter not exclusively so. The ZBV X-Ray Scanning equipment is integrated into a standard van type vehicle, usually powered by a Mercedes or Chrysler engine. The ZBV creates a photo-like Z Backscatter images showing materials by directing a sweeping beam of X-rays at the object under examination, and then measuring and plotting the intensity of scattered X-rays…if you’re in your car, your body will get zapped by the X-Ray beams! Read the full report by Panaorama (Gibralter) here! 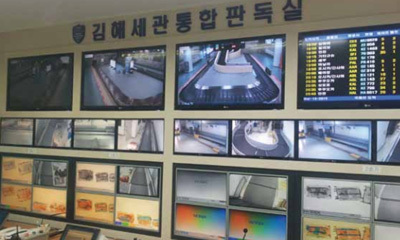 November 2013 – Korean Customs at Gimhae International Airport , Busan has introduced Axis network cameras and integrated it with the existing X-ray scanners for checked bags into one location. This has allowed Customs to manage its workforce more efficiently and enhance its monitoring capabilities through the “Choose and Focus” function. An integrated X-ray viewing room has allowed Korean Custom’s management to divide the workforce into teams of two, and the accuracy of reading and individuals’ reading capabilities have been significantly improved. Since the reading staff has been grouped into teams, their level of fatigue has been reduced, and they can concentrate and read multiple X-ray scans at all times. October 2013 – Nigeria Customs Service (NCS) has begun an inventory and evaluation of the scanning machines with a view to ascertaining the state of the machines ahead of the December 1, take over date. In an exclusive interview with Vanguard at the Customs Headquarters in Abuja, service spokesman, Mr. Adewale Adeniyi, a Deputy Comptroller of Customs said that consultants and experts including the manufacturers of the scanners (Smith of France) were all brought to carry test of the machines. Adeniyi also said that more than 500 of the newly recruited men and officers of the service will be deployed to both the information technology and scanning departments. He disclosed that in the course of evaluating the machines, it was discovered that maintenance of the scanners had been compromised. He added that the development will not in any way stop the take over of the scanning machines by the Nigerian Customs Service. The Customs spokesman disclosed that the maintenance of the machines were sub-contracted to other consultants other than the manufacturers. July 2013 – The government has recognized that it was a mistake charging for the scanner service based on the value of the cargo. The presidential adviser for economic affairs, Bayardo Arce, believes the head of the Directorate General of Customs (DGA), Eddy Medrano, may have overstepped the mark in approving a contract with the company Alvimer Internacional y Compañía Limitada on the right to collect on the declared value of the goods that pass through the scanner system to be installed in the country’s customs offices. “We have been made aware of this criterion of entrepreneurs and talked with President … and it is clear that a technical error was made,” the official, adding that the fee collected will be at a fixed rate as in the draft Law on Granting of Non Intrusive Inspection Services in National Security Border Controls, prior to the approval of Congress. The concessionaire in charge of scanning services in Nicaraguan customs offices would recover its investment in 15 months and earn $220 million in the 15 year contract. No introduction needed here. 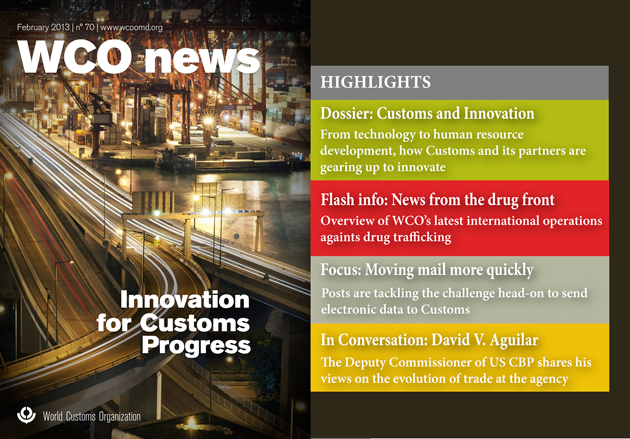 This Edition of WCO News focusses on innovation with a collection of articles from around the globe. In addition to the highlights listed above, check out what’s happening in the world of Non-Intrusive Inspection. Serbian Customs showcases its new Command and Control centre and anti-smuggling capability demonstrating efficient distribution of information between its head quarters and border-crossings and use of mobile X-ray scanners. Dutch Customs discusses its foray into the unique territory of rail scanning, having recently acquired the worlds fastest X-ray rail scanner. The head of Rapiscan Systems presents the changing requirements of customs cargo screening, particularly the emergence of ‘fused technologies’ that maximise the capabilities of non-intrusive detection and material discrimination. Singapore Customs leads the way in the exploration and promotion of ‘green’ technologies having facilitated two R&D projects on eco-friendly vehicles. Certificates of origin also feature. As part of its commitment to further facilitate trade by strengthening origin compliance through innovative thinking, the International Chamber of Commerce World Chambers Federation (ICC WCF) recently created an international certificate of origin certification and accreditation chain which will, as a first step, concentrate on non-preferential certificates of origin (COs) – the most common certificates issued by Chambers, and the only ones Chambers are authorized to issue in most countries. Learn how they intend to implement the Certificate of Origin (CO) certification and accreditation chain scheme and what the underlying benefits are. Also, learn how the EU proposes to strengthen supply chain security. Click Here! to access the magazine. Innovative technology for the non-intrusive inspection of cargo and vehicles has rapidly emerged over the last decade to become a significant factor in port and border protection and homeland security. Several hundred high-energy mobile and fixed-site X-ray inspection stations are deployed throughout the world to examine passenger cars, trucks, trains, and shipping containers that transport goods bound for international destinations. Behind the scenes, cargo screening technology continues to be a story of innovation and change, driven by keen competition and a common mission to improve global security. Early cargo screening systems were relatively slow and expensive to operate. They produced a limited resolution single-energy X-ray image, often using an isotope source such as Cobalt-60. The imaging software was rudimentary, and limited to simple controls such as pan and zoom, while computer processing speeds significantly limited inspection throughput. By contrast, most systems today are accelerator-based, which allows for higher energies, faster operation, and more precise controls. These systems incorporate software that takes advantage of improved computing platforms and features increasingly sophisticated analytics – this power has paved the way for the use of dual-energy accelerator sources and advanced detectors to facilitate material discrimination, enabling inspectors to identify threat objects more quickly, based on their composition. Future developments in cargo screening are likely to follow a common innovation trajectory that is fostered by market needs and new technology, while being strengthened by existing intellectual property and evolving industry standards. Innovation is often perceived as a circular path beginning with customer needs that are identified by a technology developer. The developer then creates application technology in the form of products to meet those needs. With numerous competitors in the market, suppliers are motivated to continually improve their products. However, a more nuanced understanding incorporates the role of component technologies and the core capabilities of the technology developer. Each of these constituents influence and are influenced by their respective technology and regulatory standards, which then ultimately impact the products available to the customer. For the full report with diagrams, Click Here! Component technologies and their standards are often driven by the needs of other markets and may only be tangentially connected with the market of interest. Consequently, developers often have minimal influence on these technology standards but will benefit by leveraging the investments already made by other organizations. ‘Components’ may be subassemblies (such as a computer graphics card) or entirely separate systems (such as a cloud computing service) that can be incorporated into a screening system to provide a complete customer solution. System providers benefit from these parallel technologies and component standards because they provide innovative insights and functional capabilities, such as interoperability, interchangeability, and known performance characteristics. In the case of cargo screening, there are many component technologies that are potential sources of future innovation. A few notable examples are described later in the report. As the Nigeria Customs Service (NCS) gets set to assume all hitherto contracted services from the service providers come December 31, 2012, kudos must be given to the administration of President Goodluck Jonathan for the political will which has brought this to fruition. This is a highly significant development that should encourage other African nations to follow suit. Over the years, the functions of the Customs administrations have evolved from revenue collection to include protection of industries, protection of citizens, trade facilitation as well as trade security and environmental issues and Customs administrations have continued to improve with the dynamism brought about by the evolving global world. Therefore, if any country must rely on contracting core Customs services to private companies, then such a country should as well disband its Customs administration. What this means is that no one can ‘Captain’ a ship better than a ‘Captain’, even the best pilot in the world would fail woefully when saddled with sailing a ship. This is because, whilst it is necessary to contract some of these services to the private sector, such services are usually treated by benefiting firms as mere business ventures and as such, create a situation where governments use such contracts to benefit close allies, even as organisations will go to the extremes to secure such contracts, primarily for profit making. Having critically studied the scenario, the World Customs Organisation (WCO), summed up that such practice usually results in a situation where there will be no trust in the Customs frontline and post clearance capability. This has prompted the Organisation to, in recent years, develop several diagnostic studies and programmes aimed at championing broader international Customs capability with high benefits to governments of its member countries. Findings have however, shown that governments may choose the private-sector to complement its resources and capabilities in which supporting operations ranging from printing Customs legislation and tariff to designing Customs websites, repairing and maintaining facilities and equipment and conducting research into specific topics may be outsourced to private companies. Core Customs responsibilities were also, through contracts with a government, outsourced to private companies that conduct pre-shipment Inspection (PSI) or Destination Inspection (DI) activities. As their names suggest, PSI activities are conducted in exporting countries in order to verify the quality, quantity, price and classification of such exported goods, while DI activities are carried out in combination with scanning technology on imported goods in importing countries. However, this option, according to the world Customs body, has been observed to be usually more cost effective than in-house operations for many reasons including the stimulation provided by competition in the private sector. It is therefore time that such organisations which front themselves with the ‘be all’ systems in Customs tariff and valuation appraisal rather seek a more practical and benefit-delivering model than one which not only scams governments of service and inspection fees, but also offers no benefit to trade. Some of them offer government free cargo scanning equipment in exchange for a lucrative inspection fee. None of this is based on risk management and mostly purely profit focussed. The concept forgoes most, if not all the modern Customs principles and standards promoted by the WCO. Rather than this concept which adds no value to trade, the focus of government should be capacity building for Customs officers; and with a commitment to capacity building under the Dikko-led management, the NCS now has capable hands to take-over the running of all its functions, and thereby retaining capital flight. It is worthy to note that PSI and DI is normally introduced to enhance Customs functions as a stop-gap measure while waiting for Customs reforms and modernisation. According to the WTO, as at November 2011, at least 25 countries, most of which are in sub-Sahara Africa, had contracts with private inspection entities for PSI and DI of which Nigeria was one of them, but this would no longer be after 31st December, 2012, when Nigeria would exit from that category. Furthermore, it is also important to note that the WCO position is that such contracted core Customs services should not be considered as a permanent substitute for the Customs administration, but only as a temporary measure. As a consequence of critical assessments of the performance of inspection companies and inefficient capacity-building and training activities, many Customs administrations have exited these outsourcing contracts and the WCO, with its accumulated knowledge, is able to assist its members with the process of discontinuing these contracts. Nonetheless, there are certain circumstances where the hiring of inspection companies could be justified because of lack of expertise as in the case of post-conflict reconstruction situation. However, in such cases, contracts with PSI, DI companies as service providers should be accompanied by an active exit plan strategy within the context of a capacity-building or Customs modernisation programme. Even the PSI companies are in this case, expected to work in compliance with the WTO agreement on PSI and relevant WTO’s recommendations. 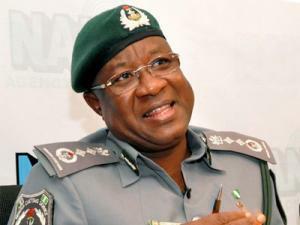 When Abdullahi Dikko, on assumption of office as Comptroller-General of the Nigeria Customs Service in 2009, began a campaign for the modernisation of the NCS as captured in his six point agenda with more emphasis on capacity building and improved welfare, he was criticised for embarking on such a capital intensive venture by many, who then didn’t believe in his vision. But today, the result of the huge investment on capacity building is evident as the NCS, come December 31, 2012, would pride itself among the 21st century Customs administrations, measuring with its counterparts in developed countries, by taking over full control of all Customs operations. 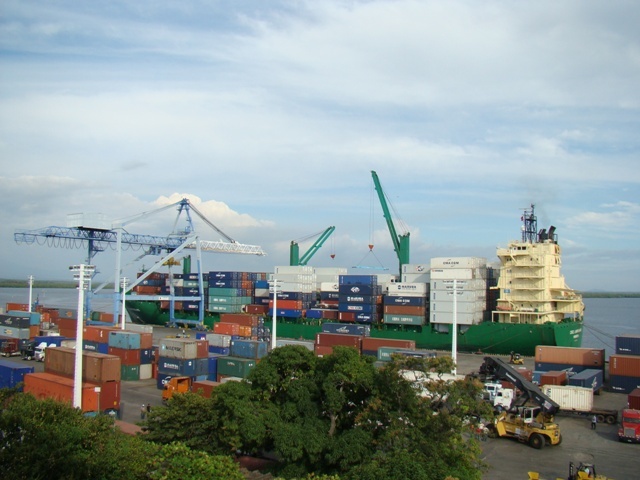 There are arguments that the outsourcing of supporting functions to the private sector enables the Customs administration to focus their scarce resources on their functions, but this is no longer the case with the NCS. Facts have shown a sharp rise in the resources of the Service due to an improved revenue collection. Monthly collection has risen from the inherited N30 billion to N90 billion. The increased revenue collection has made it possible for Customs officers to have a 100 per cent salary increase and even freeing more resources for the acquisition of quarters for officers and men, renovation of Customs barracks nationwide, provision of staff buses, uniforms and clinics in most commands. This landmark achievements have been made successful with the full deployment of the NICIS platform for e-Customs declaration and processing, manifest submission, duty payment and final release. Records show that e-manifest processing which usually took seven days and above in 2009, is now been processed same day. Same goes for e-remittance processing. Same transformation has being noticed in the number of processed SGDs which has risen from an average of 367,897 in 2009 to about 526,604 currently. Summarily, it must be noted that the scanning aspect of the Customs supply chain security paradigm contributed to the evolution from pre-shipment inspection to destination inspection. Traditionally, many developed countries, especially in Africa, employ companies from developed countries to do pre-shipment inspection of imports to Africa primarily for classification and valuation purposes. 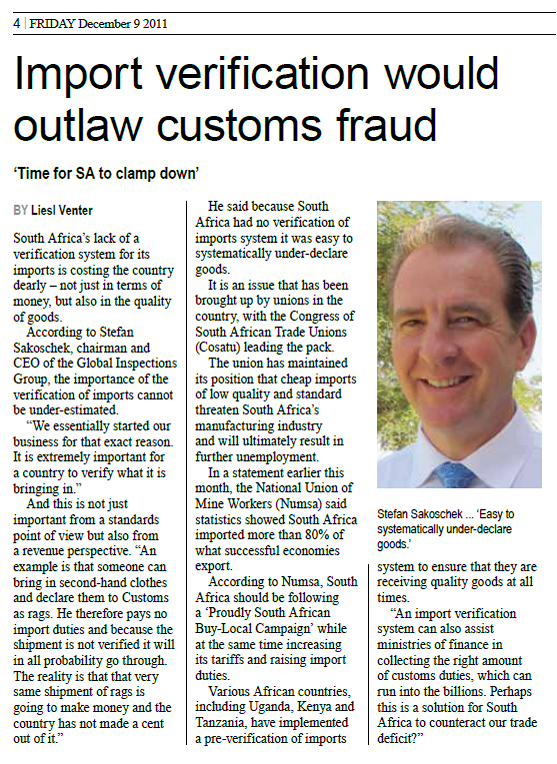 South African Customs law provides for a seal integrity regime. This consists in provisions for the sealing of containerised sea cargo as well as sealable vehicles and trailers. These requirements have, however, not been formally introduced into operation due to the non-availability (until recently) of internal systems and cross-functional procedures that would link seal integrity to known entities. To explain this in more layman’s terms, it is little use implementing an onerous cargo sealing program without systems to perform risk assessment, validation of trader profiles and information exchange. It’s like implementing non-intrusive inspection (X-ray scanning) equipment without backward integration into the Customs Risk Management and Inspection environment and systems. It has often been stated that a customs or border security programme is a layered approach based on risk mitigation. None of the individual elements will necessarily address risk, and automation alone will likewise not accomplish the objective for safe and secure supply chains. Moreover, neither will measures adopted by Customs or the Border Agency succeed without due and necessary compliance on the part of entities operating the supply chain. It therefore requires a holistic strategy of people, policy, process and technology. In the African context, it is surmised that the business rationale will be best accomplished with a dual approach on IT connectivity and information exchange. 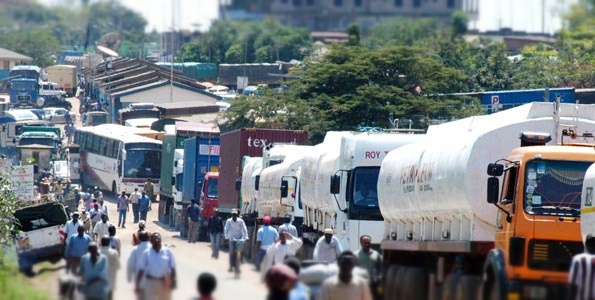 Under the political speak there are active attempts within SACU, SADC, COMESA and the EAC to establish electronic networks to facilitate and safeguard transit goods. Several African states are landlocked and are not readily accessible, some requiring multiple transit trips through countries from international discharge in the continent to place of final destination. National laws of each individual country in most instances provide obstacles to carriers achieving cost effective means in delivering cargoes. Over and above the laws, there exists (regrettably) the need to ‘grease palms’ without which safe passage in some instances will not be granted. Notwithstanding the existence of customs unions and free trade areas, internal borders remain the biggest obstacle to facilitation. Several African logistics operators already implement track and trace technology in the vehicle and long-haul fleets. This has the dual purpose of safeguarding their assets as well as the cargoes of their clients which they convey. Since 9/11, a few customs administrations have formally adopted ISO PAS 17712 within their legislation to regulate the use of high security seals amongst cargo handlers and carriers. In most cases this mandates the use of high security ‘mechanical’ bolt seals. However, evidence suggests there is a growing trend to adopt electronic seals. Taiwan Customs for one has gone a significant way in this regard. Through technological advances and increased commercial adoption of Radio Frequency Identification (RFID) technology the costs are reducing significantly to warrant serious consideration as both a viable and cost-effective customs ‘control’ measure. it uniquely identifies seals and associates them with the trader. the seal’s unique identity and memory space can be used to write a digital signature, unique to a trader on the seal, and associating that seal with a customs declaration. using customs trader registration/licensing information, together with infrastructure to read seal information at specified intervals along a route to create a ‘bread-crumb’ audit trail of the integrity of the cargo and conveyance. using existing fleet management units installed in trucks to monitor seal integrity along the high risk legs of a cargo’s transit. record the seal’s destruction at point of destination. as a common token between autonomous customs systems. to verify and audit that non-intrusion inspections have taken place en-route, and write that occurrence to the seal’s memory with the use of an updated digital signature issued to the customs inspection facility. to create a date and time stamp of the cargo’s transit for compliance and profile classification – to confirm that transit goods have actually left the country as well as confirm arrival at destination (to prevent round tripping). Lastly to archive a history of carrier’s activities for forensic and/or trend analysis. This is a topic which certainly deserves more exposure in line with current regional developments on IT-connectivity and information exchange. A special word of thanks to Andy Brown for his contribution and insight to this post.